This is a unified team for our Sp. Olympians and are joined up with adults and teens for our local community. Team members practice each week, have scheduled games, and participates in Sp. Olympics and attends the Fall Flag Football/Cheerleading tournament held at Gillette Stadium. Athletes will have the opportunity to pick two events they would like to train for. Track events include the mile walk or run, 100 meter or 200 meter run or walk. Training will cover proper warm up/cool down activities and proper nutrition and training attire. Athletes will have the opportunity to participate at the Special Olympics assessments at Brockton High School and attend the 2018 Massachusetts Special Olympics Summer Games in Boston. 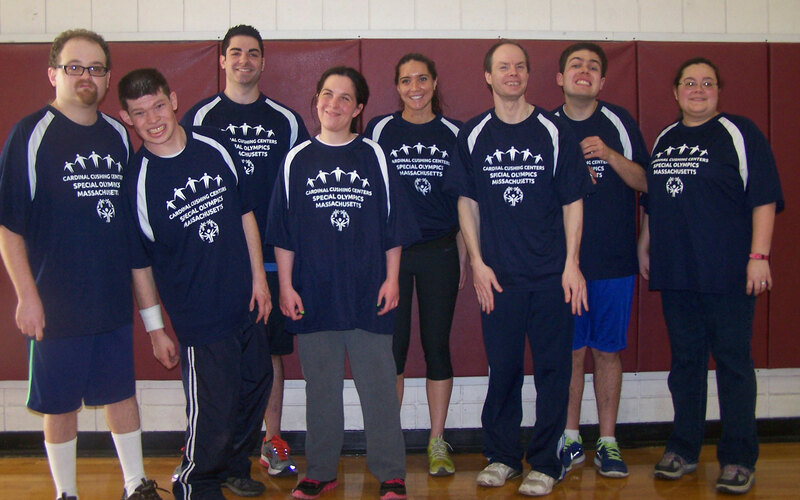 Team members practice basketball skills, play games against other Special Olympic teams, attend the Southeast Special Olympic Basketball Assessment Rounds and have the opportunity to participate at the 2018 Special Olympic Winter Games in Worcester. We offer a wide range of basketball teams from a very high and intensive program to a basketball skills program. Team 1—Tuesday 3:15 p.m. (higher ability). The Bulls & Celtic teams are traditional Special Olympic teams are for higher ability. Tuesday team is a player development team where team members practice with the coaches to increase their ability in the game, exercise and have fun. All teams attended practice, play community games and attend Special Olympic Tournaments. Athletes will get the opportunity to pick two events they would like to train for. Track events include the mile walk, 50 meter, 100 meter, 200 meter & long jump. Field events are the softball throw, standing long jump, turbo jav, & the shot put. Training will cover proper warm up/ cool down activities, what to wear, proper nutrition, and athletes will work towards participating in the Special Olympic assessment round , held at Brockton High School. 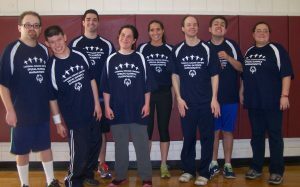 Athletes will then be eligible to attend the Mass Special Olympic State tournament in June. Please call early March for more details. 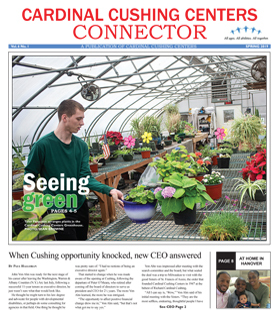 Join the Cardinal Cushing Swim team to train for the Massachusetts Special Olympic Summer Games held in Boston each June. Team member will improve their swimming by practicing the proper swimming strokes, participate in team relays, and have the opportunity to attend the South Section Sp. Olympic Assessment Round at Bridgewater State University on then go on to be eligible for the State Games in June. Learn the basic volleyball skills, serving, keeping score, and playing games for fun and fitness. Team members will be eligible to participate in the Mass Special Olympics. Practice is held at Hanover High School on Thursdays from 6:00 -7:30 p.m. Athletes will learn the proper lifting techniques for the required lifts, that include the Dead Lift, Squat, Bench Press. The team is coached by Sp. Olympic certified coaches who are active in the power lifting community, personal trainers and fitness enthusiasts. They train 1-2 times per week at the Hanover Boys Club gym. They will participate at the Massachusetts Sp. Olympic summer Games. Please call early March for more information.